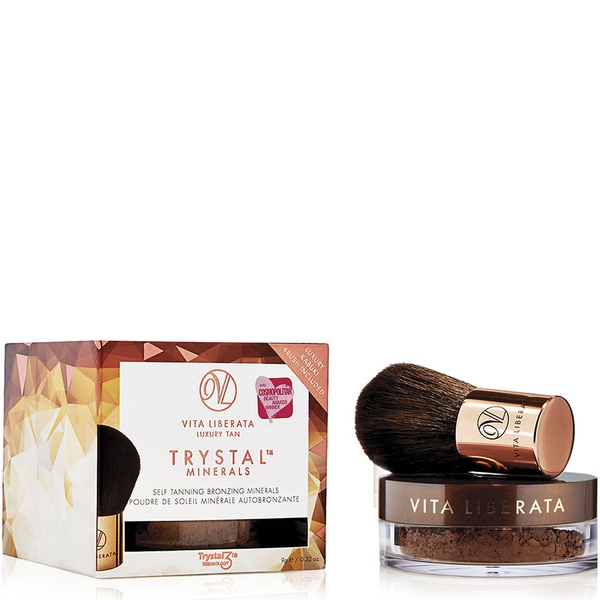 Trystal Minerals Self Tan Bronzing Minerals from Vita Liberata provide a sheer, natural glow. The oil-free, non-toxic formula contains Trystal3™ Technology and micronised crystals for instant coverage and additional DHA for a long-lasting results. The unique, lightweight powder is suitable for all skin types, to leave you feeling silky smooth with a healthy radiance. Vita Liberata use certified organic ingredients to create a tanning experience that conditions and nourishes the skin, with Moisture Locking properties to hydrate skin. Apply over moisturiser or liquid foundation. Blend the mineral powder onto the face, neck and décolleté in circular movements. Use more around the cheekbones to achieve a contouring effect.